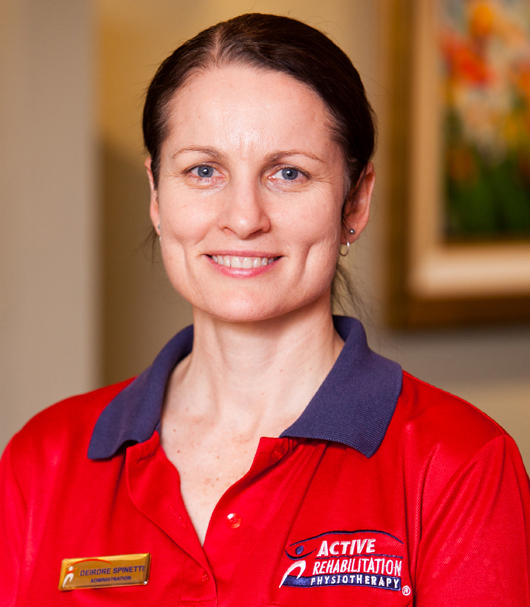 Deirdre joined the Active Rehabilitation team in 2010 looking to apply her skills and experience specifically to the area of physiotherapy administration. Deidre has had extensive administration experience in accounts, and administration roles in a variety of industries including construction, mining, and paper manufacturing. Deirdre is a highly astute, meticulous administrator. We are grateful for her dedication to Active Rehab and her passion for diligently maintaining practice systems and procedures. As our Administration Manager, Deirdre coordinates and leads our administration team across all of our practice locations. She has a genuinely warm and caring personality and ensures that our team and our patients are provided with the best possible service. Deirdre has a passion for travelling, reading, yoga and mountain biking.